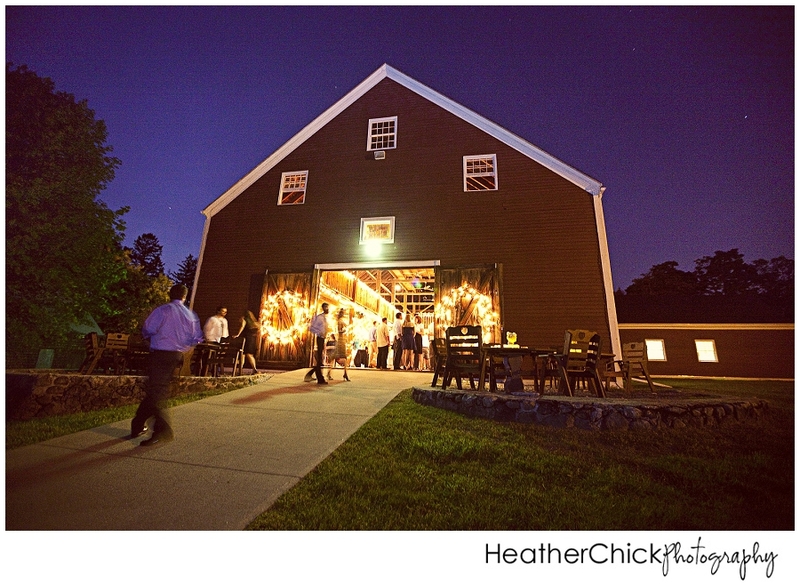 On Memorial Day weekend, Rebecca and Lorne had an amazing wedding at the Smith Barn at Brooksby Farm in Peabody, Ma. It was a HOT one! 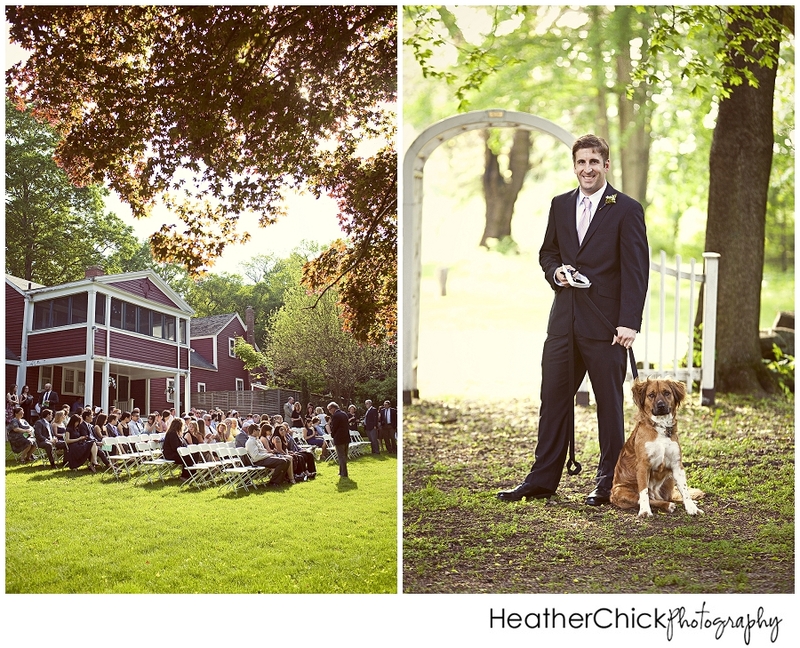 It felt like an August wedding, and it was only May! 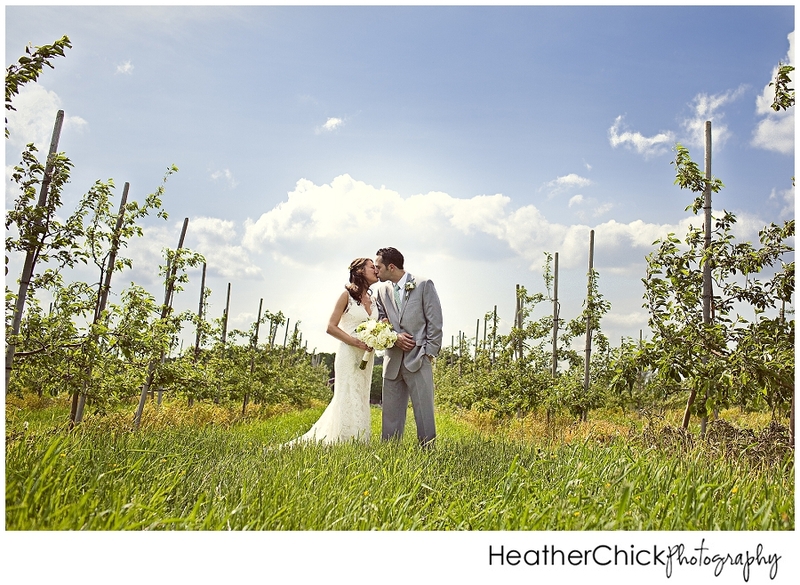 Despite being a little warm, it was a fabulous day from start to finish! 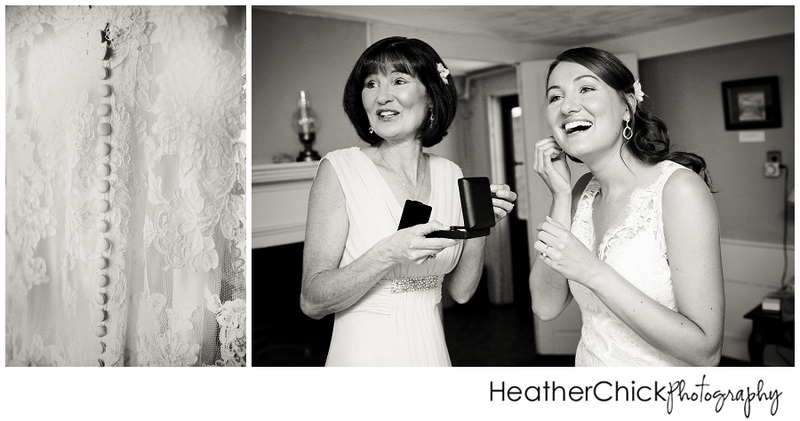 Rebecca’s mom and her girls helped Rebecca into her dress and accessories. 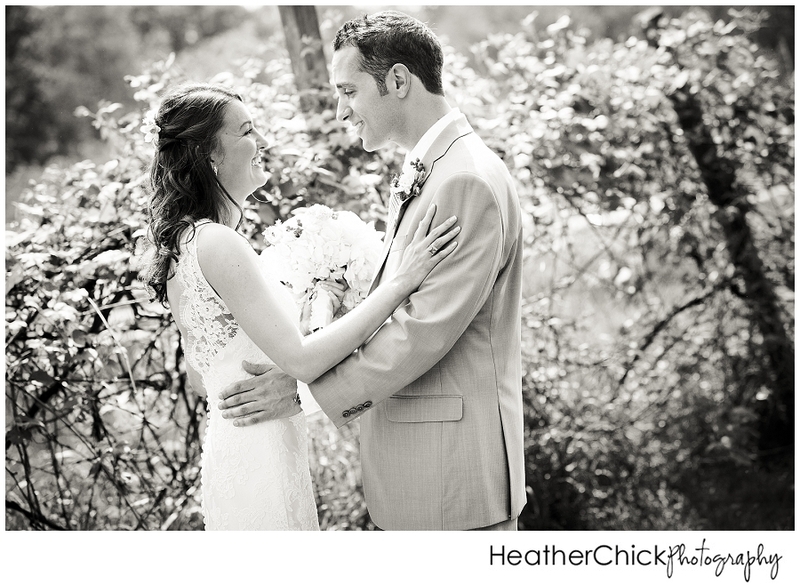 Rebecca and Lorne had a “first-look”, and it was fantastic…I absolutely love that I get to quietly witness and capture these first moments for couples…Their reactions and expressions are amazing, and Lorne and Rebecca’s reaction was so sweet and loving! 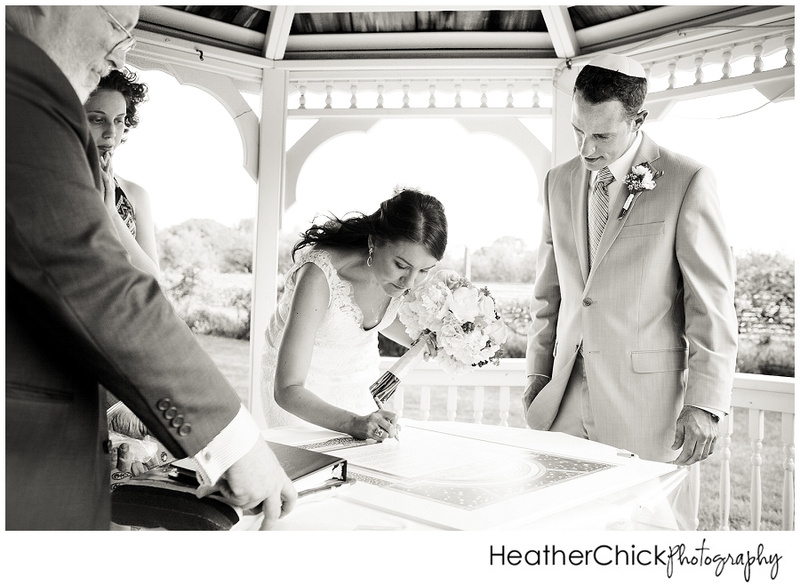 After the first look, we spent a few minutes photographing the two of them before their families met us at the gazebo. 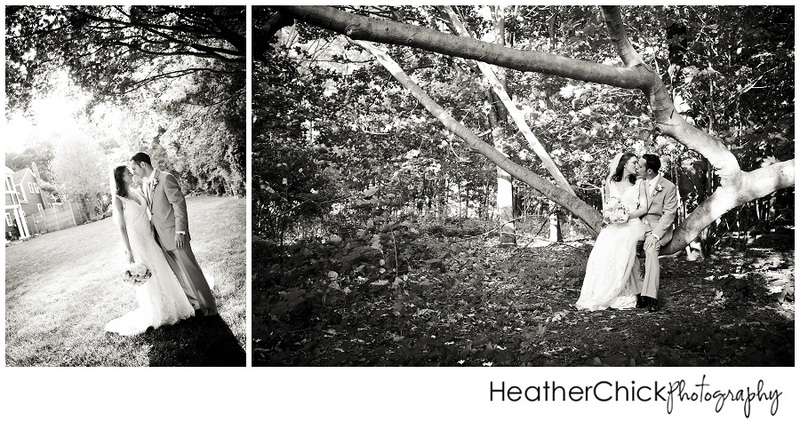 I just had to throw in a black and white version…I truly can’t decide which one I like better! 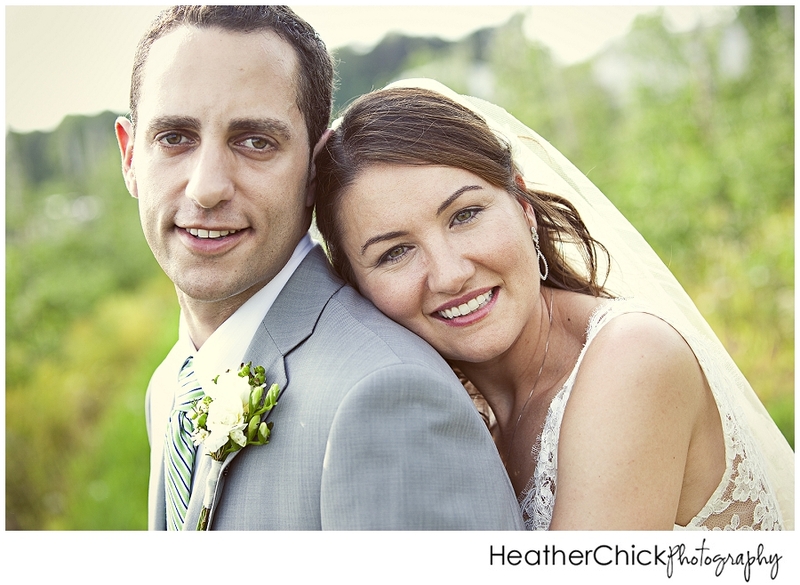 Rebecca and Lorne had a traditional Jewish wedding. 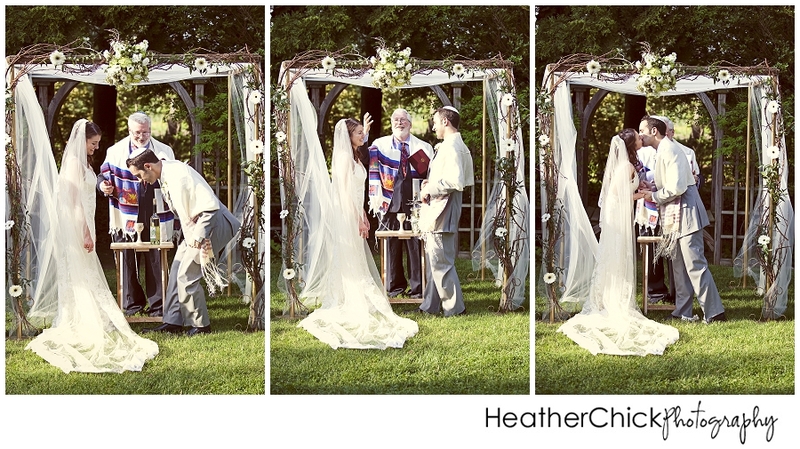 They had a pre-ceremony out at the gazebo and did a traditional unveiling (or in Rebecca’s case – veiling, then unveiling!). 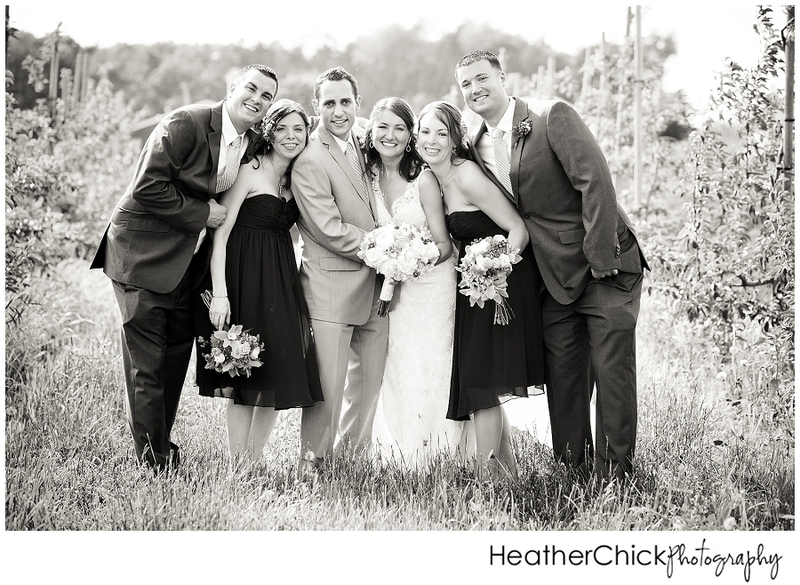 After the pre-ceremony we started with the whole bridal party. 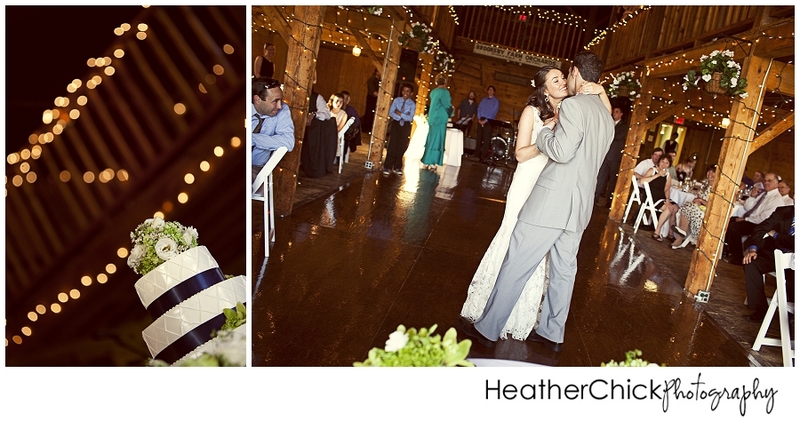 I am including a few of their pictures, because I just couldn’t decide…I just love all three of these! 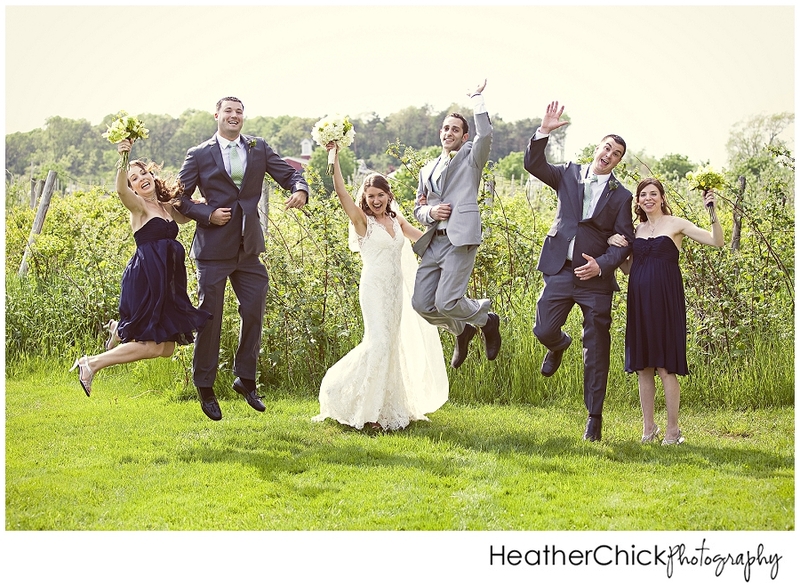 I also loved working with this combination of two bridesmaids and two groomsmen…it is a great number and combination to work with! 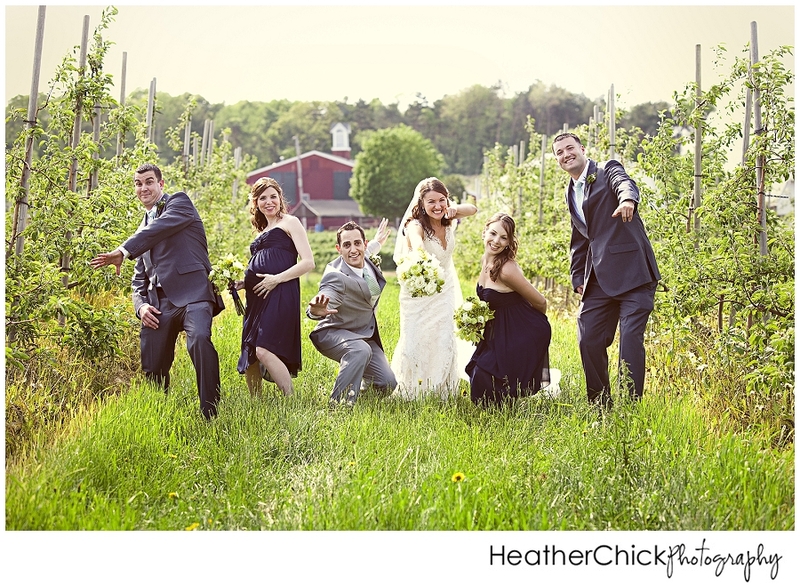 The guests were gathering at the ceremony spot while we were wrapping up a few more pictures. 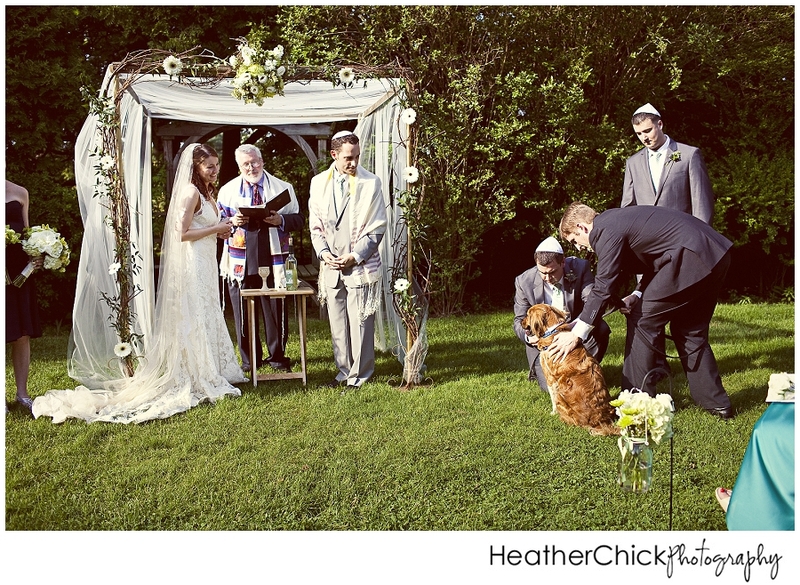 Their dog Kilo was waiting to the side for his grand entrance as the ring bearer. The picture on the left is another one of my favorites….it is not photographically perfect (because of the BLAZING sun coming in from the side! ), but it is a perfect moment captured! I just love the expression on both of their faces! The picture on the right show the “Seven Circles” that Lorne talks about in his answers below! 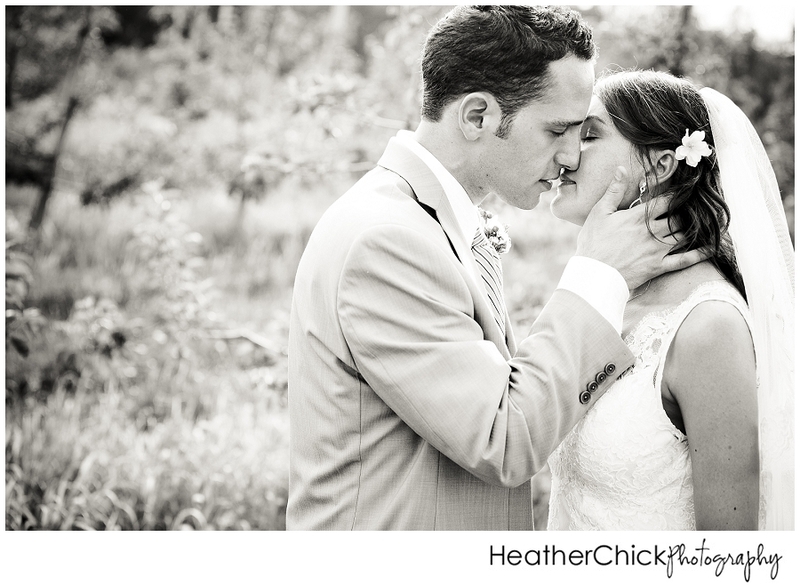 Just look at how they both look at each other…just amazing! 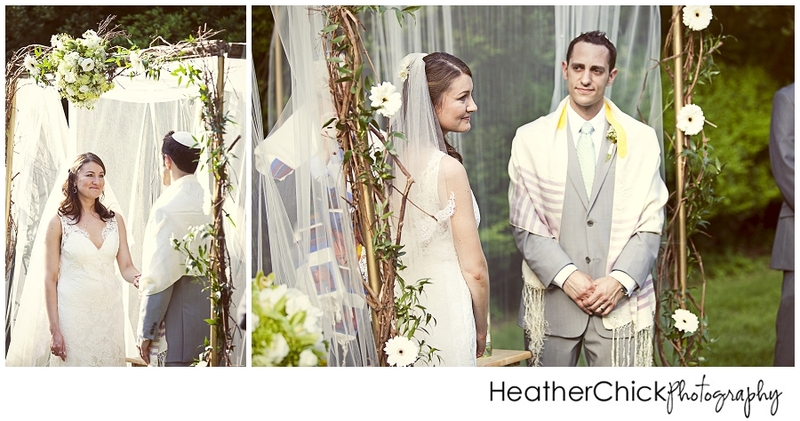 Rebecca and Lorne were admiring their new rings at one point during the ceremony…On the right, their parents are reading together, as Rebecca mentions in the interview below! 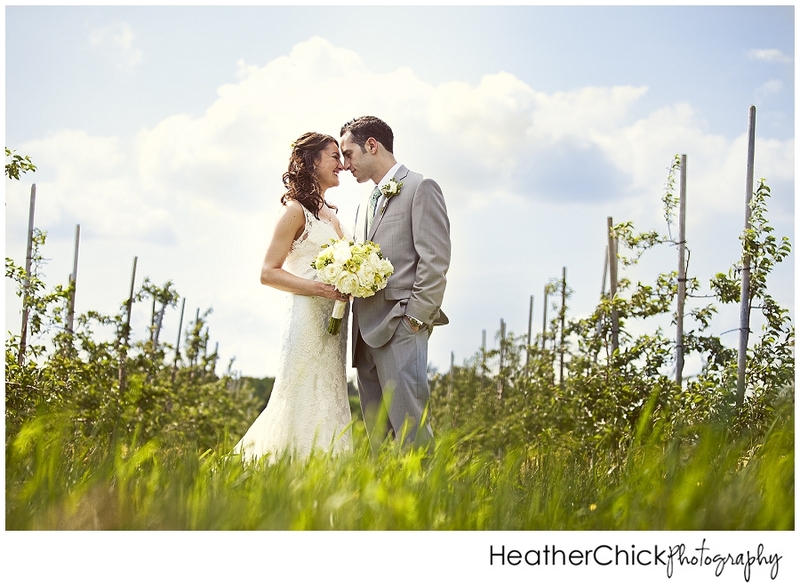 The end of the ceremony was capped off with the breaking of the glass and their first kiss! 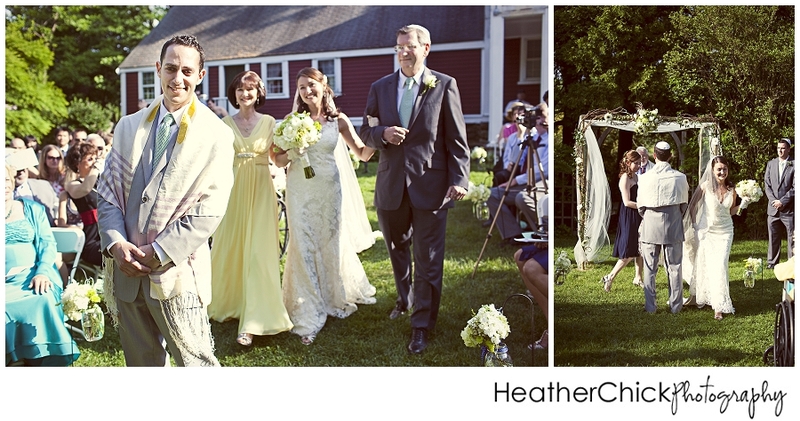 After the ceremony, we grabbed just a couple more pictures of the newly married couple. Rebecca had found this tree, just off in the woods, and requested that we head there for a moment…I am so glad that she did!! 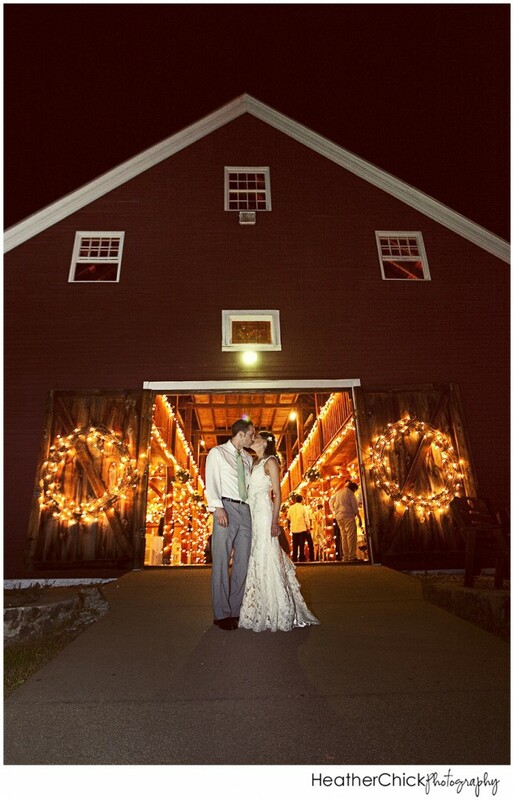 The reception began in the barn…There are just so many things that I love about this location and those little twinkly lights are one of them (all of the natural light coming in from the open barn door is definitely another)! 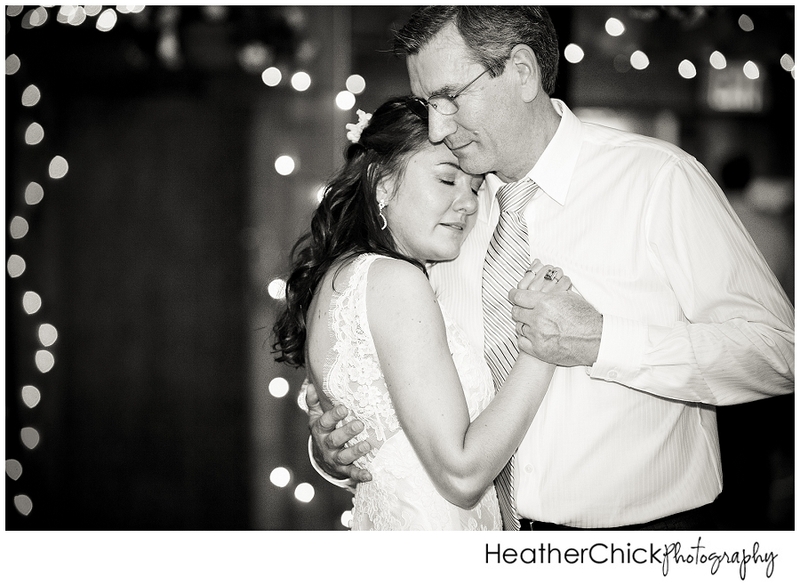 Both parent dances were emotional and touching…You could honestly feel the pride that their parents have for them, throughout the whole day. When the dancing kicked off, I was SO impressed with Lorne’s dancing!! 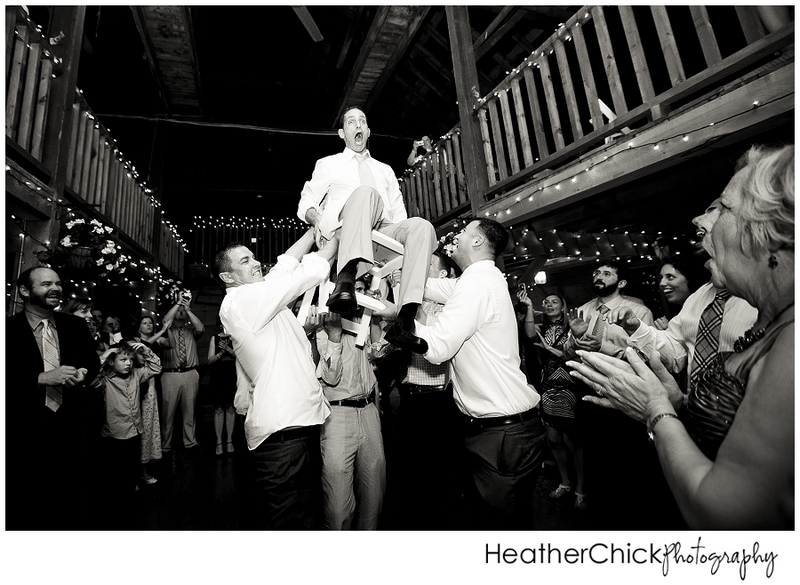 I hadn’t expected him to be quite the dancer, but he was the first on the floor and the last to leave it at the end of the night! 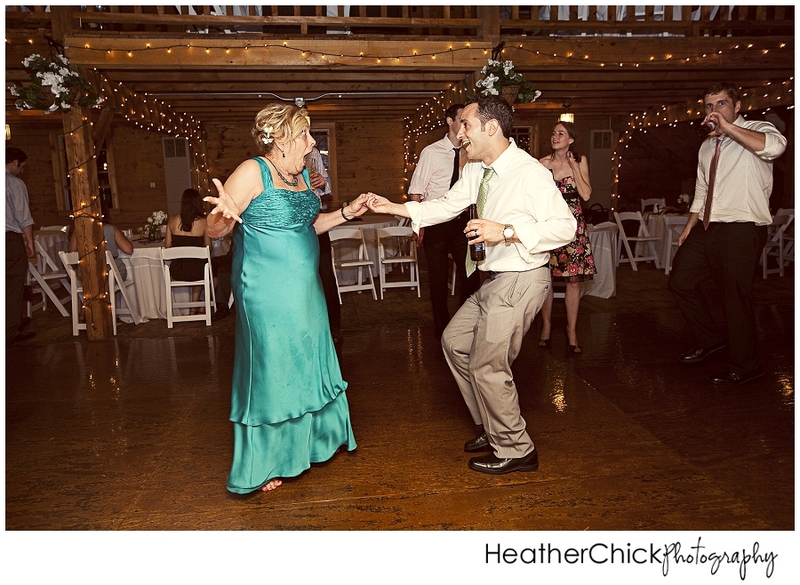 Lorne and his mom had a fun dance together at one point! 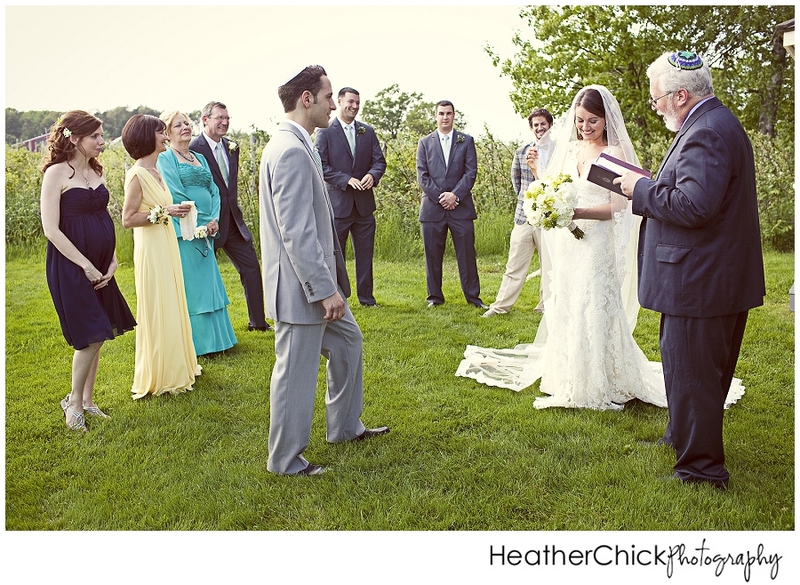 The hora is always one of my favorite parts of a Jewish wedding or Mitavah! There is so much exciting energy during it and everyone is so happy! 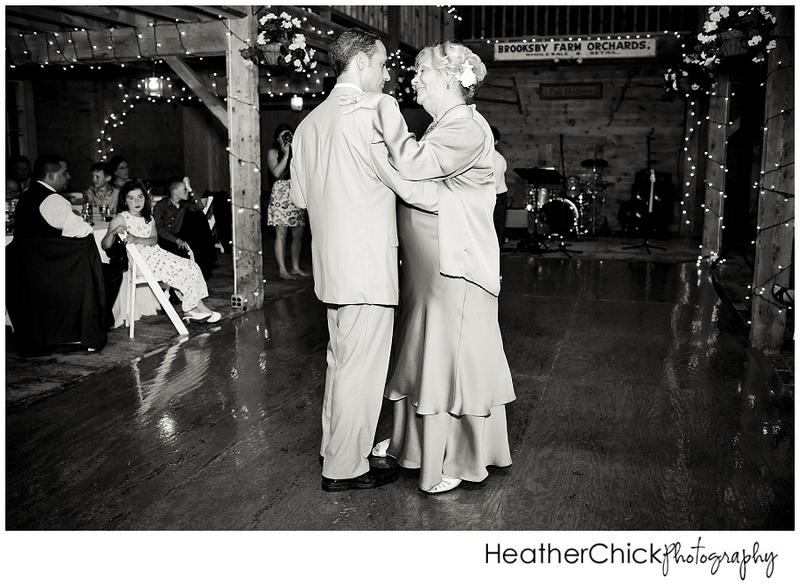 This picture of Lorne is definitely one of my favorite Hora pictures that I have ever taken!! and a view from outside, when the party was in full swing! 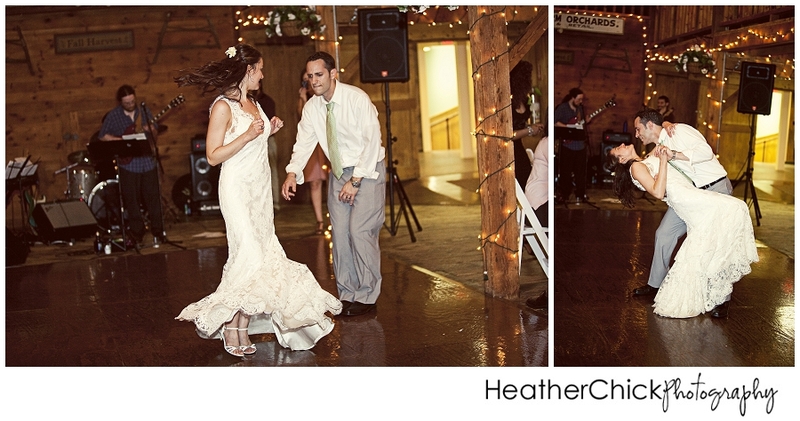 During what turned out to be the last song, Lorne and Rebecca were dancing champs…spins and dips were a big part of it! A final favorite at the end of the night! 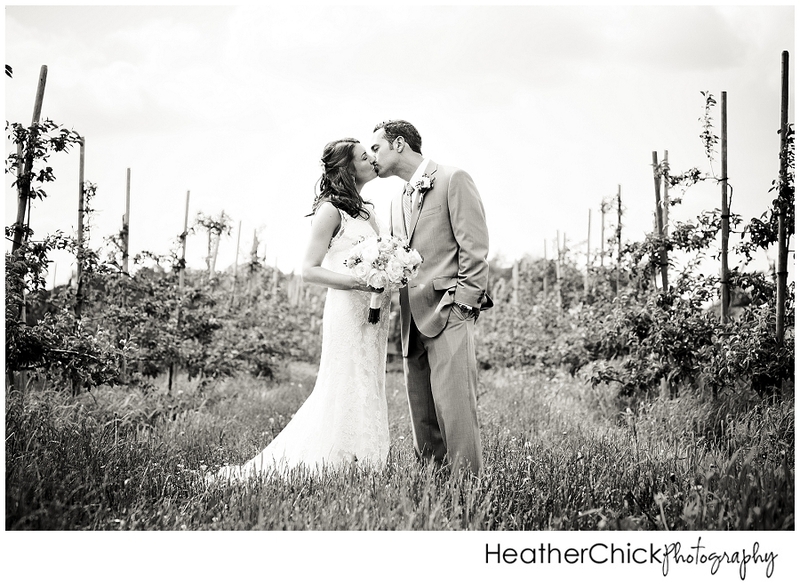 Lorne and Rebecca….Thank you so much for choosing me to be your photographer….It was a pleasure working with you for the last year (or so!)! 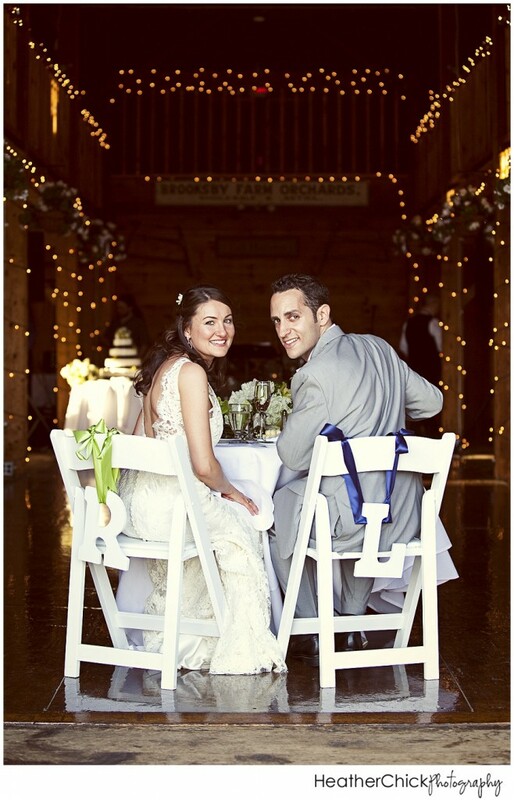 Congrats to you both (and your families too!). 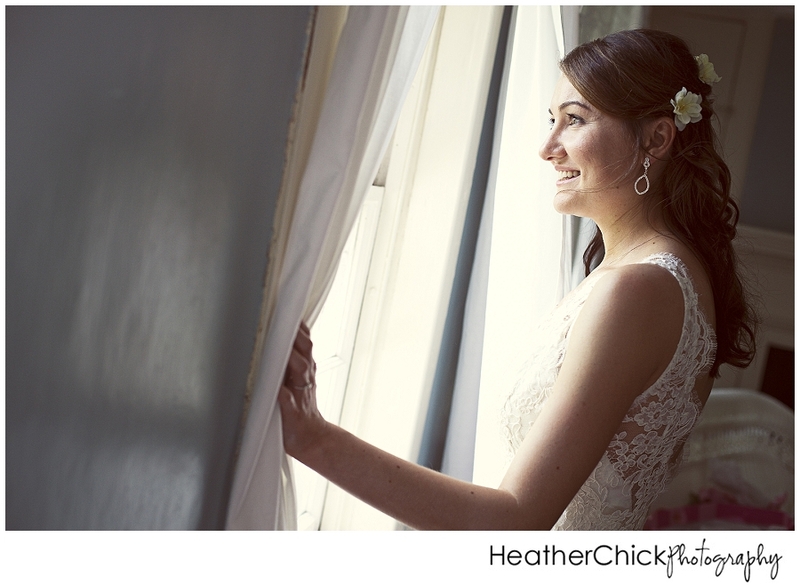 Rebecca – There were so many memorable moments of the day that it’s hard to pick just one. I think for me, my favorite moment was when Lorne saw me for the first time during the staged first look. He had his back to me as I came around the barn and I had a fairly long walk to meet him. 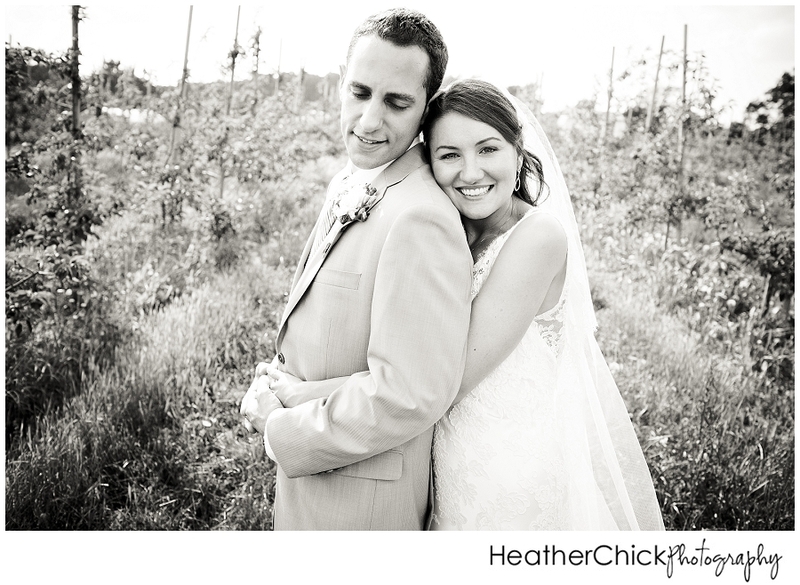 I will never forget the moment that we saw each other for the first time as bride and groom. I totally forgot that Heather was there taking pictures!! Lorne – I’d have to agree with the first look as my favorite moment. 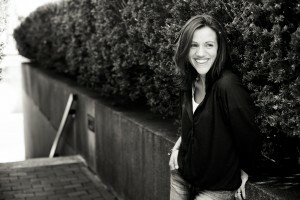 Every detail of Rebecca’s appearance was kept secret, so I was beyond excited when I finally saw her. 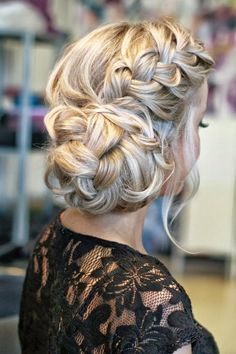 And every detail she chose – her dress, her hair, her makeup – only accented her natural beauty. She was jaw-dropping. Oh, and the moment when when the band busted out into party mode at 8:10 – when all the scheduling details didn’t matter anymore – was fantastic, too. 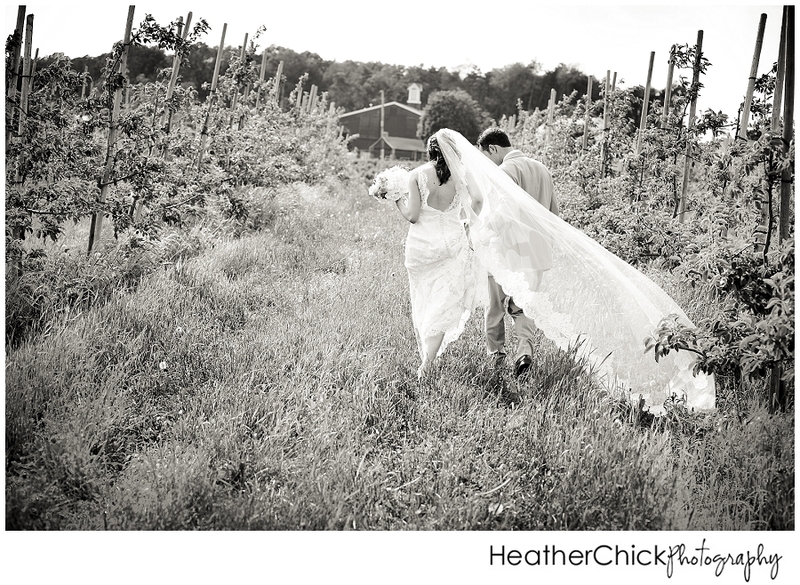 Rebecca – We incorporated many special family items in the ceremony that were on display during the reception such as my mother’s veil, Lorne’s great-grandfather’s prayer shawl, and my great-grandmother’s wedding gloves. We also set up old photos of our family members at the table for guests to view. 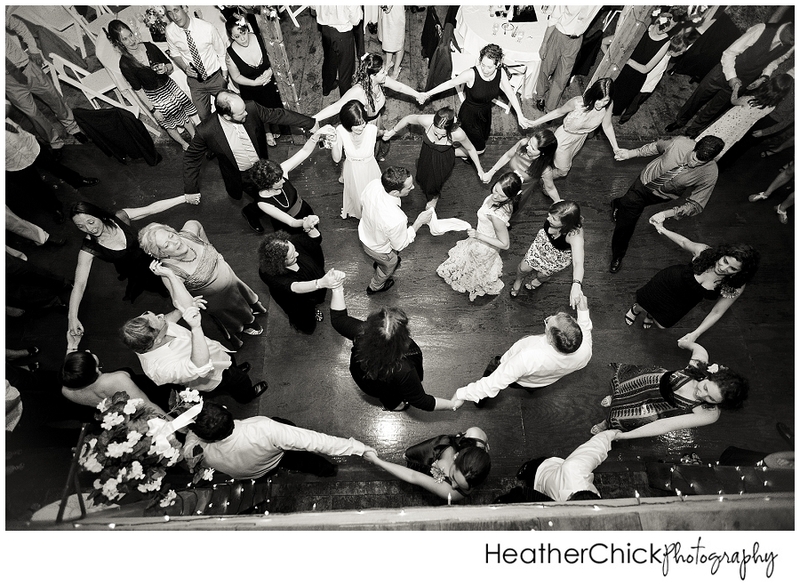 Lorne – I loved the “Seven Circles” – when Rebecca circled me seven times at the beginning of the ceremony to symbolize the creation of a new family circle. 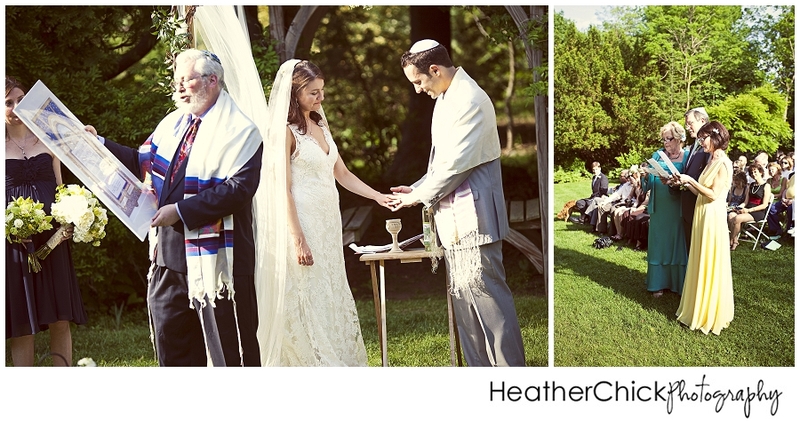 Even though we are not very religious, I loved that we incorporated a few meaningful Jewish rituals that connected us to ancestors stretching back some 6,000 years. Both of us lost family to the Holocaust and pogroms, so these elements were an appropriate testament to them and to Jewish survival. Delegate. Ask your buddies and girlfriends to get there early to help with all the setup details so you can focus on you. 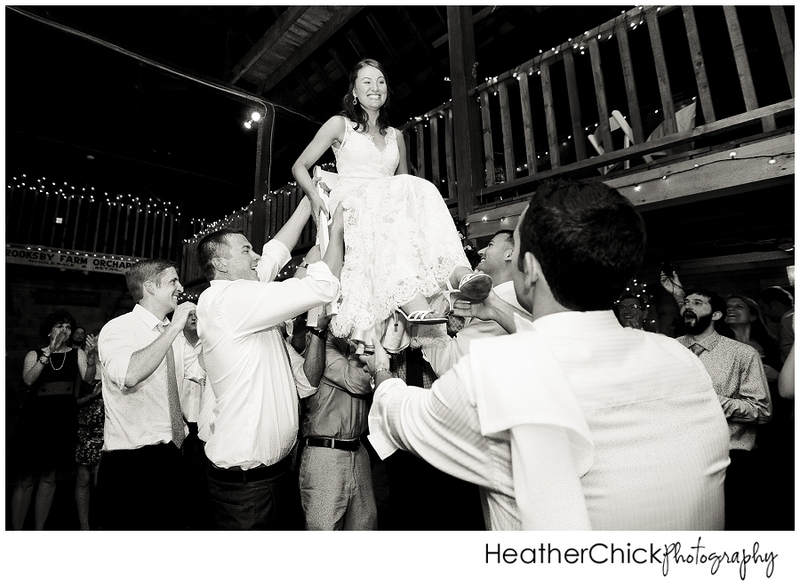 Rebecca – Getting lifted onto the chairs during the Hora. 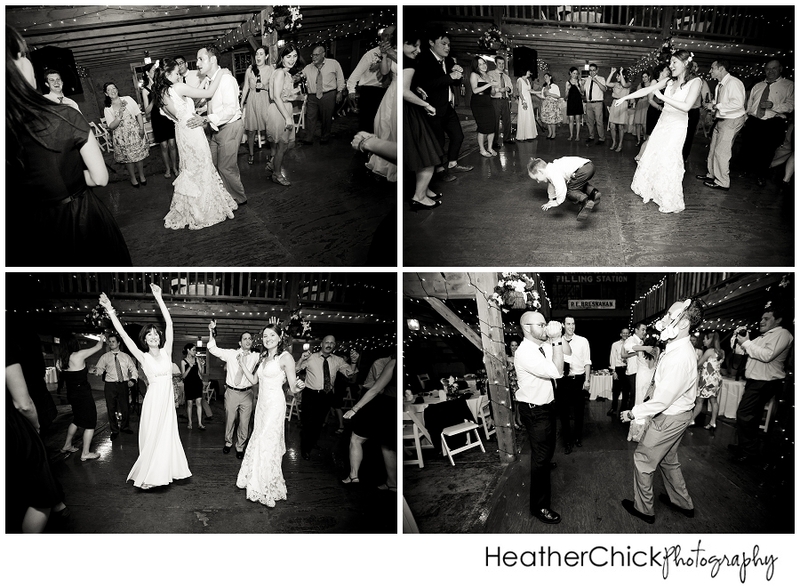 Lorne – The dancing duels – and the impromptu Russian dances – during the hora were awesome. Everyone says this but nobody listens – really don’t sweat the small stuff. We wish we could relive parts of the day without our nerves bothering us. 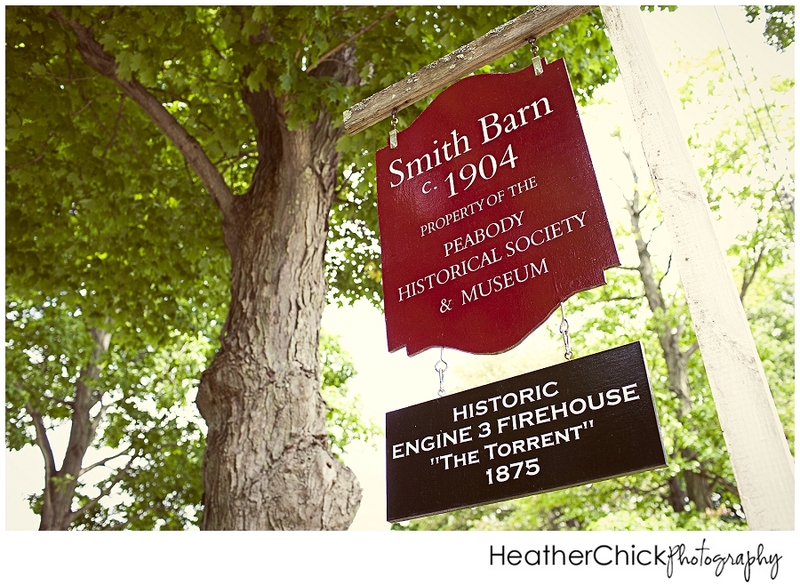 We spent one night in Rockport, MA at a Bed and Breakfast to relax. Our honeymoon is postponed until next summer. We hope to go backpacking in Europe!! 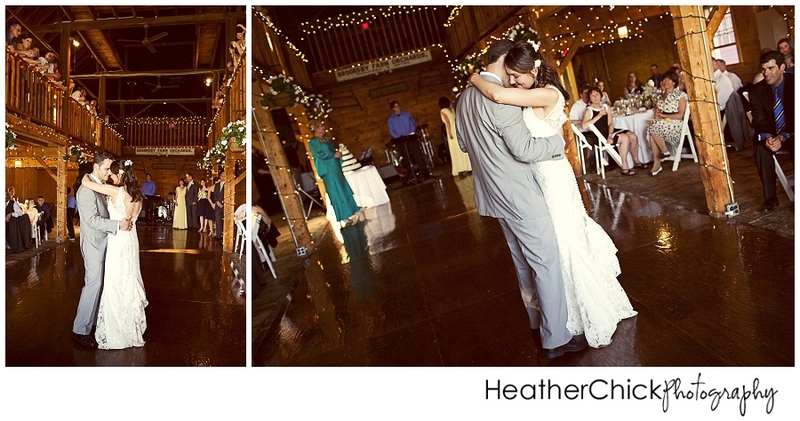 Oh Heather, this is amazing. Your favorite is my favorite! 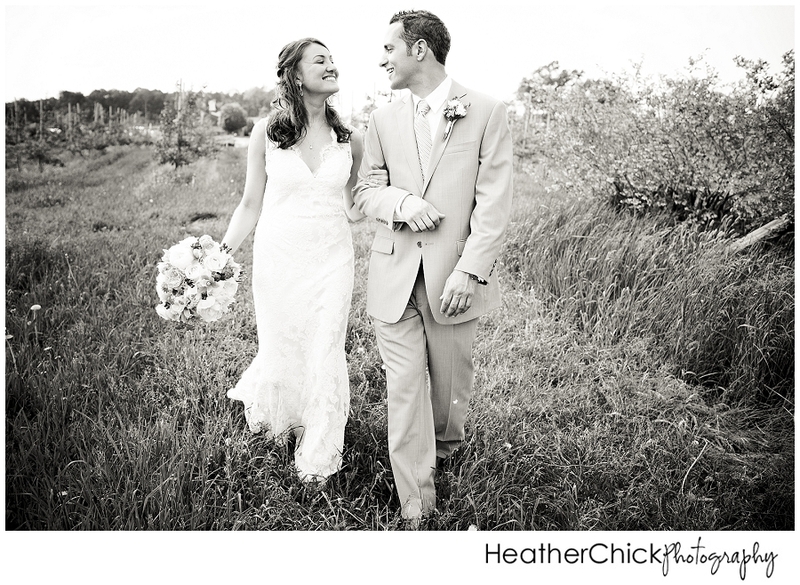 One of your absolute best weddings EVER! THanks Tom!! I think you meant to post the comment on Ashley and Brad’s post!! You guys were troopers though it all!! Thanks for the comment! !